I’m in Malaysia this year for Chinese New Year, which starts tomorrow, on February 16th! My visits to Malaysia always revolve around food, but even more so when I come back during festive occasions! In addition to getting my fill of the usual foods such as Char Kuey Teow, Satay and Laksa, I have been snacking non-stop for the past few weeks on Chinese New Year favourites such as Pineapple Tarts, Kuih Bangkit and Kuih Bahulu! 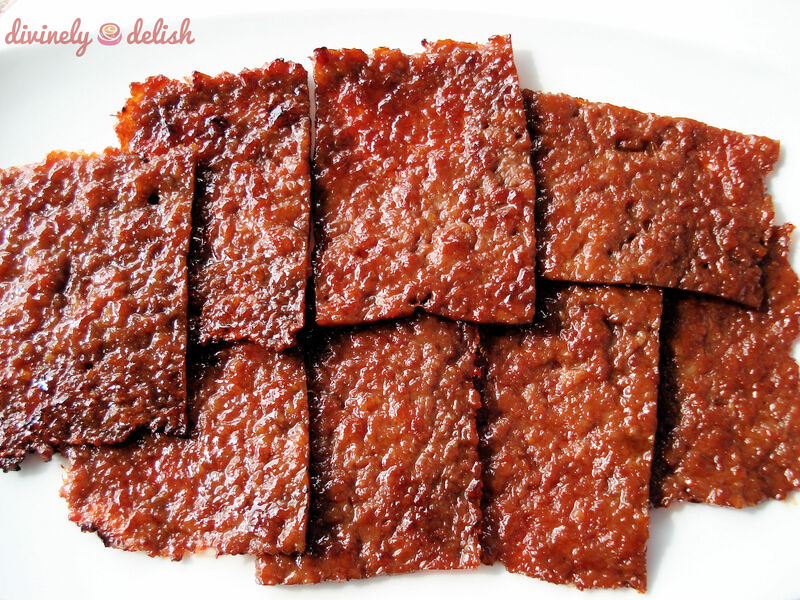 Another food that you will see people buying a lot of is Chinese Pork Jerky (or Bak Kwa, as it is called in the Hokkien dialect). 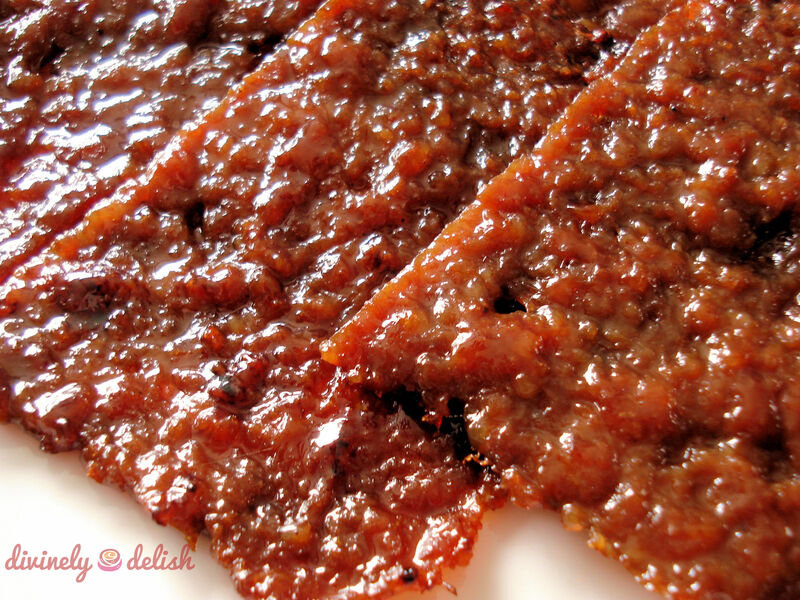 In my opinion, salty-sweet Bak Kwa beats other kinds of jerky anytime! 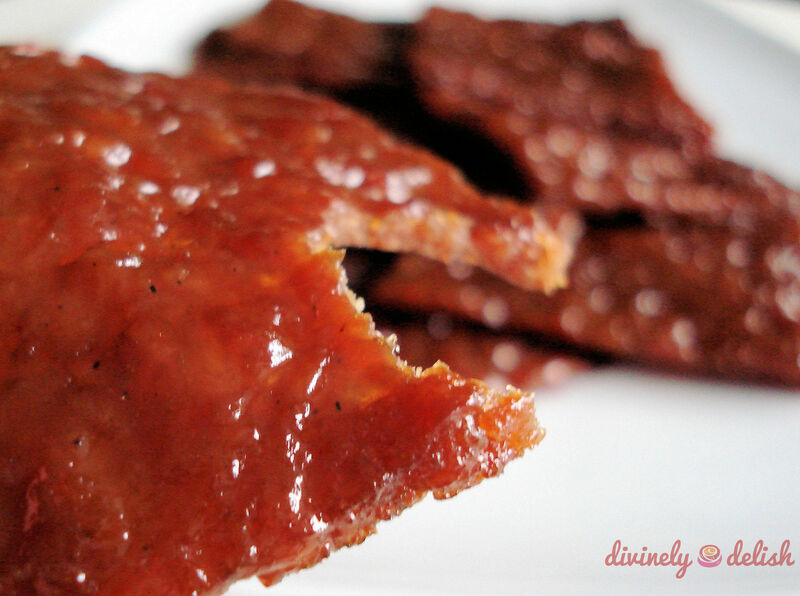 Instead of being dry and tough, Bak Kwa is tender and juicy! 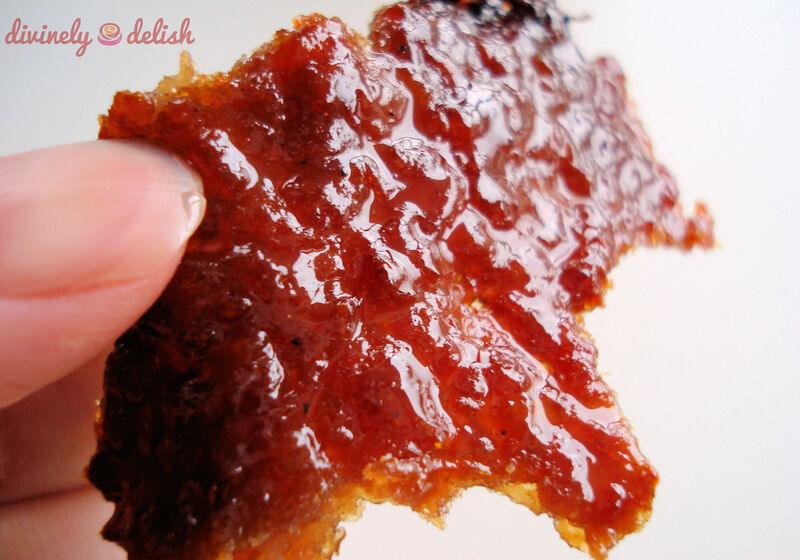 I never imagined Bak Kwa would be so easy to make at home! But thanks to my sister, who first found the recipe from Sonia at Nasi Lemak Lover, I’ve been able to have Bak Kwa anytime I want!! A few years ago, I made some and brought it to work. I didn’t think anyone would really like the Bak Kwa, but to my surprise, most of my colleagues did! 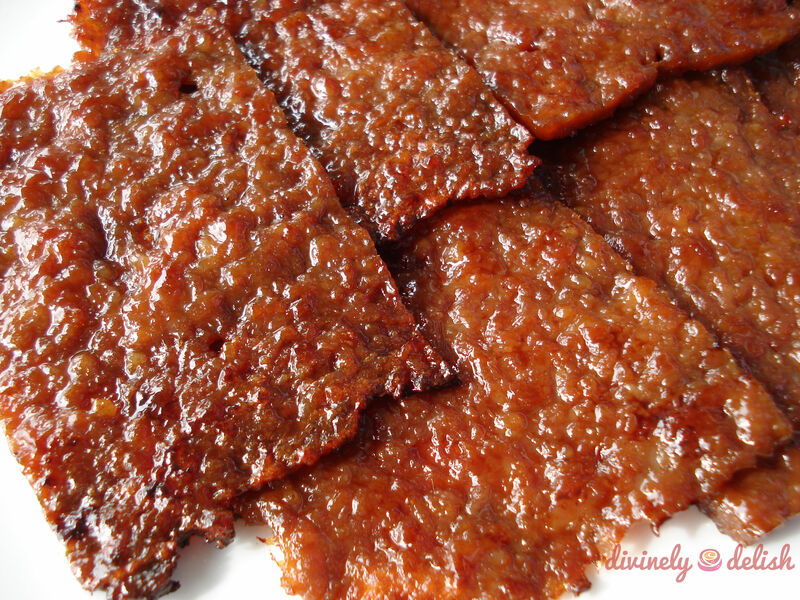 In fact, one of them, who never really liked pork, absolutely loved the Bak Kwa and even asked me for the recipe! This is the original recipe from Sonia. She’s since made some adjustments, but I have not tried the updated version of her recipe. To all those celebrating…Wishing you a happy, healthy and paws-perous Year of the Dog! 1) Combine all the ingredients in a large bowl. Mix well, until the mixture is gluey (this is important, so that the cooked pieces of meat don’t fall apart). Cover and refrigerate for a few hours or overnight. 2) Preheat oven to 320 F (160 C). 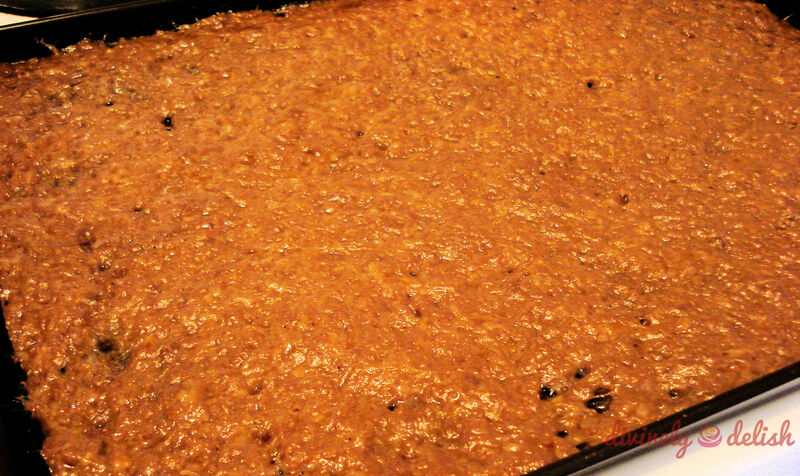 3) On a baking sheet, spread the meat mixture thinly, using your fingers or the back of a spoon. 4) Bake for 15 minutes. Remove and cool slightly. 5) Increase the oven temperature to 465 F (240 C). 6) Using kitchen shears or a pizza cutter, cut the meat into desired shape and size, and place the pieces back on the baking sheet. 7) Broil for 10 minutes, then turn over the pieces of meat and broil for 7 minutes, or until slightly charred (I personally like my Bak Kwa on the juicier side, and healthwise, not too charred!). 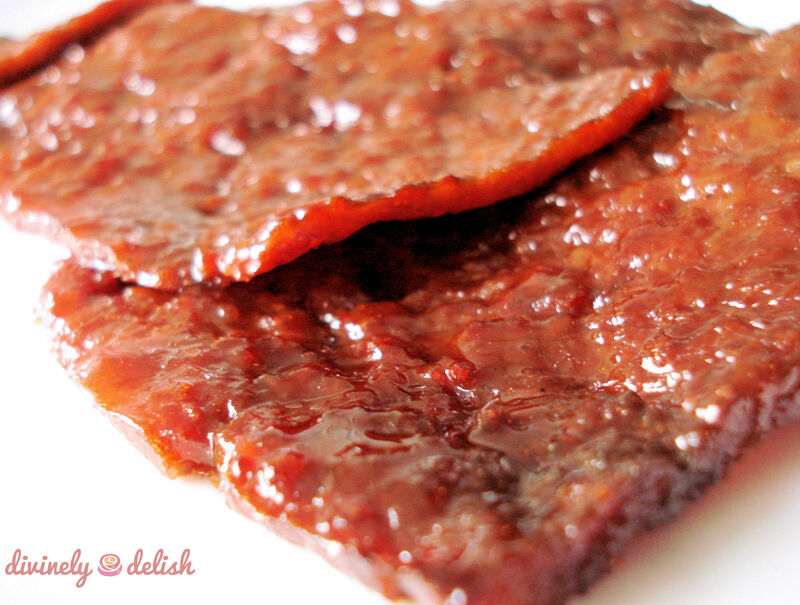 NOTE: Charcoal-grilled Bak Kwa tastes even better, so try using a charcoal barbecue if you have one!